Today I was walking into Natural Grocers, and I heard, “Would you like to sign a petition to put affordable housing on the ballot?” This sounded like a win for our community, but it’s a lie. Over the past few days many of my friends and acquaintances have admitted to mistakenly signing this petition, thinking the only way to achieve this annexation was to put it on the ballot. These petitioners are collecting signatures in an attempt to overturn an already approved annexation of land west of Steamboat Springs for a new development. In the first phase of this development, West Steamboat Neighborhoods, the majority of the proposed housing options are for those who make 80 to 120 percent of the Area Median Income. For reference, 80 to 120 percent of AMI for a single person household is $48,560 to $72,840 of annual income before taxes. In this first phase of development, the developer, Brynn-Grey is dedicating over one-third of the units to deed restricted housing for working full-time locals. The developer is also proposing to donate land to the Yampa Valley Housing Authority to build housing for those who make less than 80 percent of AMI. 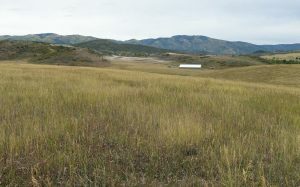 In order to make this development a reality, the land needs to be annexed into Steamboat Springs city limits. Steamboat Springs City Council has already approved this annexation through a public process that has taken almost three years. The petitioners are pushing to put the annexation to a vote because they believe it will fail in an election. 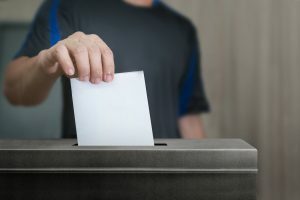 Unfortunately, they may be right — only those who live within the city limits will be eligible to vote, meaning a significant number of those who might need this housing will have no opportunity to weigh in during an election. Will this development solve all of this community’s housing woes? Absolutely not. Will everyone who lives here be able to afford these homes? No. There is a huge hole in our housing marking, and this is the housing stock we need to fill it. A quick search of current housing listings clearly demonstrates that there are no more than a dozen homes for sale in Steamboat Springs that are comparable to the homes proposed by Brynn-Grey. I hope you’ll join me in refusing to be deceived by those who purport to support affordable housing for families in our community. When you’re approached, please politely decline to sign this petition.